Do you have knee pain or do you know that someone that has that bone-on-bone thing going on, that doesn’t want surgery, who’s tired of narcotics or steroid therapy? Then this is the video for you. One of my favorite things to help people with, bone-on-bone knee pain. 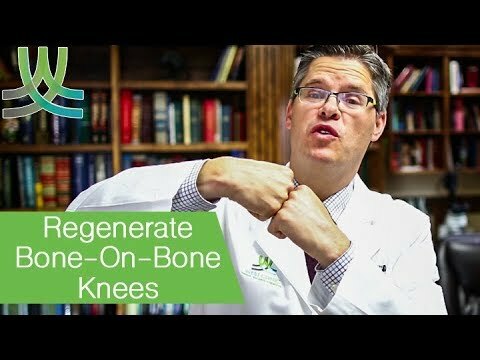 Hello everyone this is Dr. Jason West and we’re going to talk about chronic knee pain specifically bone-on-bone arthritis which I get asked about all the time as one of my favorite things to treat because there are some amazing natural non-surgical, non-prescriptive, non-narcotic ways to take care of knee pain. So let’s talk about the knee joint itself for a minute. You got your shin bone here and your thigh bone here, what happens is going like this all of the time and I don’t know if you know that we’re not born with kneecaps. What happens is we have a tendon attaching from the thigh bone over onto the shin bone and when it rubs over that joint, eventually I think it’s around age 2 we start developing a hardened part of the tendon which is the kneecap. Now as when you talk about the knee joint, and bone on bone arthritis, one of the most common things to do is it’s really hard to go up and down stairs because there’s a membrane around each bone called the periosteum. When the periosteum which is connected to all the nerve tissues touch each other it really hurts. It short-circuits, it’s not fun. So you have people go up a stair at a time or going down an incline really really hurts. Now for a long time, I thought that the only way to take care of bone on bone knee arthritis was to do a total knee replacement. And I’ve learned that that’s not the case because there are some really neat interventions that help the shock absorber that was previously thought that it was gone to actually make it so that the bones don’t touch and the pain goes away. We’ve done this hundred of times. There are video testimonials on it. The way that you take care of it is to do a regenerative injection therapy we call this prolonged procedure. Now it’s a complete opposite of cortisone. You don’t want to mix the Z O N E with the zone because there is a hundred and eighty degrees opposite. Cortisone therapy which is usually the medical treatment is a steroid therapy which gets rid of inflammation. You can’t do it repeatedly forever because it does have some effects to the cells into the bone but the regenerative injection therapy, the proliferative therapy using ozone what we call protozoan therapy, it’s the exact opposite of that and here’s the big difference. The prozone therapy you take a vitamin solution with some oxidative medicine. You put the vitamin solution into the joint area. Whether it’s the knee, it works for the hip, it works for the shoulders, the elbows, the wrists, and what it does is it puts all of those building blocks into the joint space then you put like literally a construction crew to remodel the area with some oxidative medicine. I’ve seen with x-rays of people being bone on bone like this and you do a series of treatments over you know four to six months and you’ll see the space increase. Now are you regrowing on cartilage? I don’t know doesn’t really help the patient it helps tremendously. It makes it so they can go up and down stairs. Knee joints are my favorite way to treat your use. Protozoan therapy to do it. I’m not seeing any contraindications, I’ve seen really really good outcomes for people literally that are scheduled two three-four weeks before the first appointment cancel the surgical intervention. The neat thing about this is if therapy doesn’t provide you with relief which most of the time that it does but if it doesn’t medical recommendation as a total knee replacement which you were going to do anyway but there’s a really good possibility that you’re not going to need any surgery or at the very least we can buy you some time and help avoid that surgical intervention. Now some things that you can do at home. For chronic joint pain I really like a product from Nature’s NX called dynamic duo. It’s a mineral formula and there’s something called liquid joint revive it has glucosamine and chondroitin. It has some proteolytic enzymes in it which are little Pacman they eat up inflammation. There’s a lot better natural ways of taking Tylenol. Leave advil. There’s some detrimental effects to those over-the-counter medicines. Also the thing that helps is getting enough water and I’ve said that on nearly all of the videos. Water really really helps with hydration and with helps with joint pain and then getting rid of inflammatory foods. Sugars, refined sugars, junk food, soda pop are really really hard on the joints. So there’s a really neat way to take care of it. Regenerative injection therapy using protozoan therapy. This is Dr. Jason West we’ll see you on the next video. Thanks for watching the video on knee pain it’s one of my very favorite things to treat. There’s actually a report called the arthritis secure in the comment section. Now if you saw value in the video please like us and tap on the little bell. It’ll give you an email every time we release a new video. Hi guys, I really want to talk about something that’s quite personal to me as some of you may know and probably only really my friends and family that watch this channel I actually suffer from arthritis. Now, you may be like what?! isn’t that only for old people? Well. unfortunately not because I’m not old. At least I think I am not. To be specific I suffer from ankylosing spondylitis which is a progressive form of arthritis; like an inflammatory arthritis, it mainly affects my spine but it can affect other joints in your body and the tendons and the ligaments. To put it in kind of layman’s terms it is basically my body attacking itself but focusing on my spine and the joints in my spine. So, as a result I get an inflammatory response where the ligaments and tendons attach to the discs in my spine and with the inflammation comes wearing away of the bone, and then what happens once that inflammation kind of stops my body tries to repair the bone that was damaged and slowly over time it will build too much bone. Essentially fusing my discs together. Now, that’s not really a definite but this is like a hypothetical where this can progress to. Obviously, this process takes a long long time. I’m not really looking at anything like that happening within the next like ten to twenty years we’re talking about like 40-50 years from now if everything goes completely wrong. So, now you may be asking how can you have arthritis and be doing all this climbing and stuff? Well, the simple answer is that because I want to. I want to do it so I do do it and you know the short of it is I do deal with a certain amount of pain, like I call it my base level. I have this base level amount of pain that I’m comfortable dealing with on a day-to-day basis and through a lot of trial and error, and a load more support from my parents, I have kind of like figured out my own personal limits of what I’m capable of. Obviously this is a long process and for some people this may take 10-15 years to really figure out how to best maintain they’re condition, some people are lucky and figure out really early on. You know, I was diagnosed at 17 and I spent the first year kind of stuck at home pretty ill kind of wallowing in self-pity and a lot of pain and probably even more uncertainty mainly because when you’re this young this you know there are a lot of young people that suffer from this condition however anyone that knows or has had to deal with this know he’s had like half the leaflets that you get are pictures of 65 year old people or older and there really isn’t a lot of information out there for young people. Well, not as much as I think there should be in regards to what the future actually holds for for younger people. We have different priorities we have social lives like socializing s a big part of growing up obviously like a lot of teenagers or young men young women or you know young adults essentially participate in sport or they want to travel a world or you know they want to go to university without having to worry about things and all of these are natural worries for someone has basically been in this situation and I made in my mission once I turn 18 to essentially become the best athlete that I was capable of becoming I was capable of becoming with my own limitations. Now you know since I was diagnosed to kind of look back you know I’ve run a half marathon I climb, I’ve high lined, I’ve played water polo at University, I’ve Olympic weight lifted, I’ve gone skiing loads, I’ve hiked you know did some Alpine climbing, like I really don’t feel like I’m worse off now than I was before in fact if you told me back then that I was going to be capable of doing all the things that I’ve done I probably would have told you to sod off , because they would just be obscene and obviously my parents always told me that things are going to be ok and be capable of doing the things I want to do. However, it’s really different hearing it from your parents than it is from hearing it from people that suffer from the same condition I think, and I wish that I’d have more young people to be able to speak to in order to kind of settle my my worries essentially and you know I was really willing to try and push myself to points that no one really thought was going to be possible sometimes I still do and then injuring myself. The key is not to accept that as failure but rather learn from that and use that new kind of found information to better your or just better yourself essentially know what you’re capable of and learn your own limits and I think. You know, I do I still have really bad days, yeah I have terrible days, I have terrible weeks. I have have days where I wake up and I just want to lie in bed crying, and it’s painful, and you’ve got to get up and you’ve got to get on with it. It’s really easy to just fall into this trap where you don’t get out and you’re just kind of wallowing more and then you just end up looking for pain as opposed to letting it just be there. You know, I think my good day is now heavily outweigh my bad days and I hope it stays that way. If you have any questions about the condition, or how it affects me, or like how I’ve dealt with it, or if I have any advice for people, then please ask. I’m always happy to answer and I think even if you don’t suffer from the condition, and you have any questions about it, please ask as well. I think it’s really important to try and spread information around and try and get people informed about this. So, thank you very much for watching this video and I will catch you guys in the next video. Peaces my dudes.. Treatment is important in psoriatic arthritis. And again, timely treatment, I can’t emphasize enough how important it is to get treated to prevent serious damage down the road. 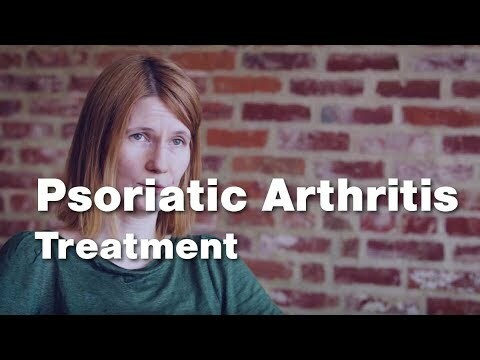 Treatment is tailored to the severity of the psoriatic arthritis, to the type of psoriatic arthritis, and to the, to any prior damage that has accumulated. Which would mean if somebody already comes in with damage from their psoriatic arthritis, means that they have a pretty severe form of the disease, so you’d wanna get them on very effective treatment without delay. Let’s say if symptoms are just beginning. It’s reasonable if there’s no damage to start with, and on certain anti-inflammatory medication. And this is what guidelines tell us that to be the first line in most instances. But then knowing that this is a disease that is not going away, and has the potential to cause damage, follow-up is critical. And then, if control hasn’t been achieved, if the symptoms are not gone, and if there’s persistent joint inflammation, then you usually go to a medication that we call a disease-modifying drug. Meaning it doesn’t just take the symptoms and the swelling away, it’s also preventing the immune system to cause damage in the joints, in the tendons, in the spine, or wherever psoriatic arthritis manifests in that specific person. And then, periodically, every three months, or every six months, we reassess. Are we here? And if we are not at the target, we tailor treatment. Does it need to be intensified? Yes. Are there any compelling indications for this medication or this medication? And then we make our choices. If we are at target, then we are happy. And we continue treatment, and hopefully, patients experience long-term remission. And then when long-term remission is experienced, and there’s no damage in the background, then there can be a conversation about do we want to decrease treatment. But that usually happens after people have been controlled for a long time. And it has to be done carefully because there’s always the potential for relapse. (piano music) Another important aspect of treatment is, for example, physical therapy. We know physical therapy is essential for the spine to retain the range of motion, to prevent regression, to strengthen the muscles that stabilize the spine. So, the rheumatologists will most often prescribe physical therapy. And then physical therapy is also important for tendons. Of course, not when they’re acutely inflamed. But, when the inflammation has subsided and there’s no risk of rupture or damage. And physical therapy is, again, an important modality to rehabilitate a tendon that has been affected, and to strengthen the muscles and the joint, and to increase the overall stability of the musculoskeletal structure. Other interventions that people can do and will help treatment. One of the most important things is in people who are overweight or obese, weight loss. Losing 10% of the body weight in people who are overweight or obese is like adding a new treatment. It increases the chance of responding. (piano music) Topical treatments are frequently prescribed for the treatment of psoriasis. Patients are sometimes not excited about them because it’s a relative burden to apply those, those creams, and then to keep them on the skin. It’s very important to note that creams, especially the steroid ones, have different potencies. So, if, if a doctor prescribed a certain cream for lesions on the legs, for example, it’s not okay to use that on the face, or some other lesion that developed because by having different strengths they can have many more side effects on the thin skin. Like the face for example. So, those, those preparations are not interchangeable. That’s why when there are more, more complicated forms of psoriasis, for example affecting the face, it’s really important to have a dermatologist to prescribe a special preparation for that. Which ideally wouldn’t even be a steroid because that can lead to skin thinning, and so on. So that’s a very important aspect. We don’t use topical preparations for psoriatic arthritis for the joints. These are mainly used for the management of the skin disease in the first-line stage. 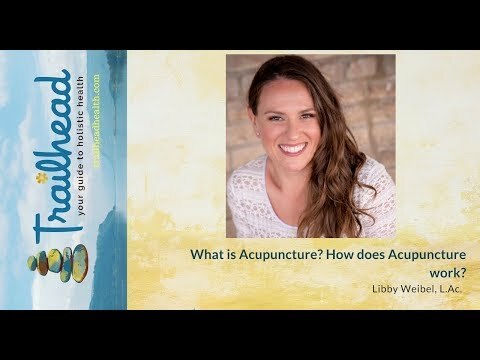 So Libby what would you explain is acupuncture to our consumers and patients out there that may not have yet to try it. So acupuncture is an entire system of medicine. So 2000-3,000 years old, originating in China. The key that it’s an entire system of medicine. So even though people might want to use Acupuncture for a specific symptom, it can treat anything is the philosophy. It’s an entire system of medicine. What’s fascinating is that they discovered these lines of energy that flows through your body, two to three thousand years ago without having things like MRI, but MRI now confirms that these channels which are all these lines that you see on these models they match our neurology. So they match our nervous system, our derma tones and all these things that we can show under MRI are there. So I think that is amazing that two-three thousand years ago without technology they could figure that out. Qi is a word we use to describe energy. My mentor in Denver says that Qi is oxygen and blood. So it’s the things that need to free flow through your body in order to heal, in order to create change and to keep us alive. So Qi is what is oxygen. Qi is energy and what’s most important with acupuncture, in my opinion, is flow. So I describe acupuncture like our highway systems here in the Twin Cities, and this is where everybody laughs because as you know our highway systems here in the big city are not awesome. We want them to be awesome. We hope for them to be awesome. We want to get from point A to point B in not a lot of time, which usually doesn’t happen. So we have road construction, rerouting, detours, accidents, traffic jams, snow, heat and all of these other things that make driving difficult. So if you imagine that these lines of energy are supposed to be open and free-flowing like our highway systems, and they’re not then as we can get the highway system open and flowing sending ambulances and highway helpers to those areas that need repair. But in my opinion the most important to stop rerouting. So the body is brilliant brilliant brilliant about compensating. So if something is happening it’s going to pull from someplace else to compensate. But that compensatory pattern over time can start to create wear and tear on the body. It can start to create Qi so when oxygen is not being as effectively delivered, and the body is not healing in its most efficient way. So when we look at inflammatory diseases and all these things that are happening in our health today, in my opinion, it’s an accumulation of the body working less efficiently than it possibly can. So if we can get the body working the most efficiently especially in our neurology, our nervous system, in my opinion, that’s where healing happens. So we have channels that flow from head to toe about four of them, and then we have channels that flow head to arm, foot to the torso and a few other little patterns. But then we have these two small pesky channels that kind of run horizontal and what my mentor teaches which is a little bit different is that when we block those horizontal channels and we start to get this reverberation in energy because there’s no room for it to flow and things get stuck then over time that efficiency of the system begins to break down. When the efficiency of the system starts to break down we have pain,n we have a disease, we have headaches, we have stomach issues. If this is blocked, your digestion is going to be blocked. You are going to have low back pain. If you’ve got a lot of chest related issues and this is prevented, it makes a lot of sense. So my favorite favorite favorite thing is when I unblock somebody for the first time, and they’re like oh my gosh like I feel it moving. Like I feel it, what is happening? And then we have this amazing conversation about that’s what energy flowing blood and oxygen in your body feels like and then keeping that block open. Acupuncture is cumulative. Re-training the body is hard and but possible. Very very very possible, So we front-end acupuncture with acupuncture a little bit at the beginning and help to help people’s bodies keep those blocks open and flowing.